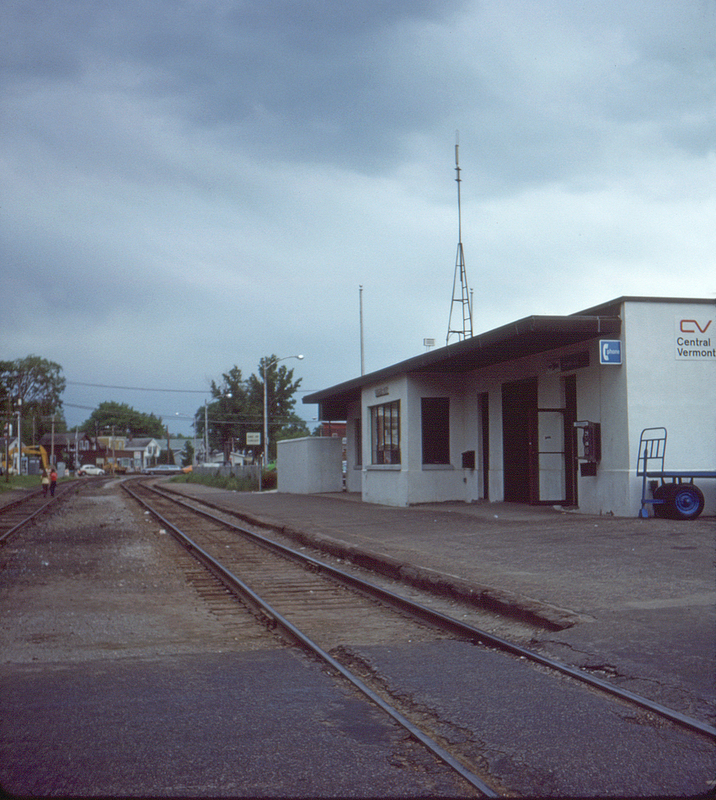 A closer look at the Central Vermont's Essex Junction, Vermont station. In this view the branch to Burlington is on the left, with the CV mainline at right. By this time Canadian National, owner of the CV, had adopted its updated "noodle" herald and subsidiary CV was quickly brought into step with its own version.